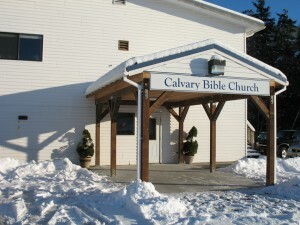 Calvary Bible Church was established in Ketchikan in 1969 with five adults and about ten children and young people. We met in a little house at 2nd Avenue and Jefferson Street, a property we later purchased. Our first Pastor was Rev. Bob Grace, a missionary with the Gospel Missionary Union (now Avant Ministries). In 1980 Pastor Bob resigned to enter a logging camp ministry and another missionary pastor arrived for a temporary assignment. 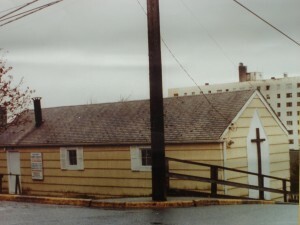 After more numerical growth the small building was sold in 1982 and the congregation moved to White Cliff Elementary School. After Pastor Kent Reimer left in 1983 for an assignment in Brazil, Calvary Bible Church called its first full-time church-supported pastor, Rev. Bill Haan from Dallas Seminary. 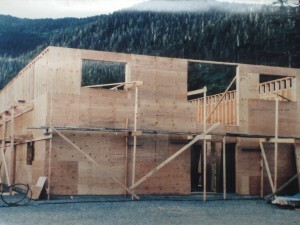 During Bill’s six-year tenure the church congregation expanded to 176 (Easter 1990), bought the present property on Carlanna Lake Road, purchased additional property for parking, and built the present church sanctuary. After Pastor Bill moved to Colorado in 1990 the church called Rev. 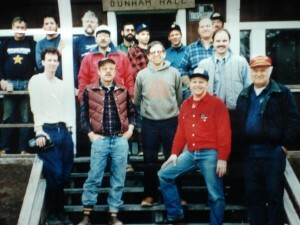 Tom Brubaker from Western Seminary in Portland, Oregon, who stayed until the summer of 1998. After a brief time with an interim pastor, Rev. Bernie Yorton, the church called Pastor Bob Schultz from The Master’s Seminary in the spring of 2000. Calvary Bible Church was established by missionaries and has always had a strong missionary focus. In 1979 Jim and Millie Moore arrived for our first missionary conference. We started supporting them financially at that time. The next Fall Alex and Faith Smith flew north for our conference. Throughout the years other missionary families have ministered in our church, some of them joining our list of church-supported missionaries. Calvary Bible Church has been involved in the community. 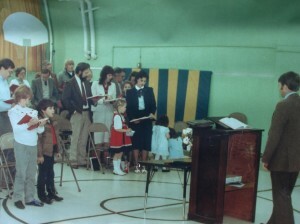 For a number of years Vacation Bible School was a regular feature of our summer schedule. For over a decade, AWANA has been an outreach to children in Ketchikan. Calvary had a youth basketball team which participated in the community league and we even had an adult volleyball team. Regular picnics, youth group outings, men’s and women’s retreats, music ministry, and other venues have provided opportunity for witness. The annual Echo Ranch Bible Camp Contest originated back in the 70’s and continues to this day. The 1980’s were a time of stress and opportunity. During this decade we sold a small property seating 48 at the most and moved into a school facility. We had to locate our pulpit and hymnbooks each Sunday morning and hope for chairs. There were times when all the chairs had been temporarily moved to another school and we had to adapt. But this was also a time of fellowship, excitement, and growth. We held Sunday evening services in the Presbyterian Church the whole year, and alternated between the empty Methodist and Presbyterian sanctuaries Sunday mornings during the summer months. We explored other venues, even meeting at Refuge Cove on a sunny day. Ground-breaking for our new Carlanna property occurred on April 12, 1986, with occupancy in our new building on Thanksgiving, 1987. We praise God for the way He has led us throughout the years. We trust that God has been glorified through this local Body in the past and we pray that this legacy will continue into the future.